When Tony DiMarco unexpectedly inherits his great uncle's town house in Boston, he finds himself in the middle of a murder, a mystery and a treasure hunt spanning three hundred years of American history. "This Boston-set novel stars 13-year-old Tony, who must solve a historical mystery and features many local landmarks and figures." 2013 Edgar Award nominee for Best Juvenile Fiction. Featured in the 2012 Boston Sunday Globe Young Readers' (Nonrequired) Summer Book List. 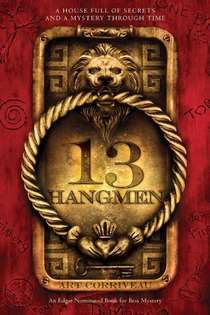 Under the big umbrella of fiction, the mystery of 13 Hangman has you turning each page eager to discover what comes next. From the book, you learn that knowing the history about a person, place or thing can be very important. 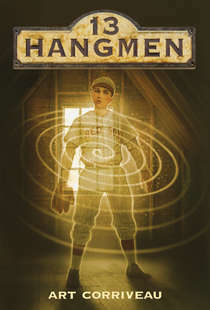 If you love mysteries, then you’d probably love 13 Hangmen by Art Corriveau.